Holiday shopping is about to get real! 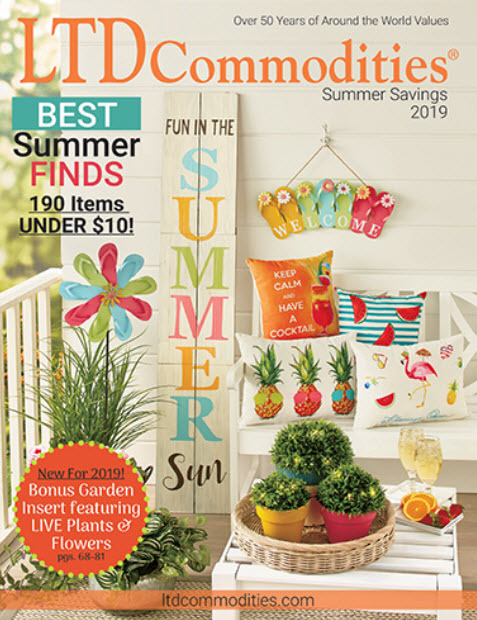 While your head is spinning trying to figure out just the right deals, we put together a list of some of our favorite gift ideas at the deepest discounts. Here are this week’s Items We Adore: Product Picks for the Week. 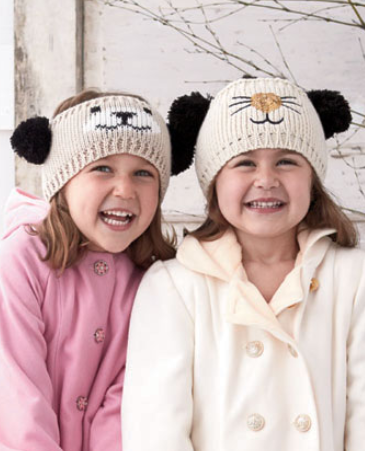 Cute & Cozy Set of 2 Kids’ Critter Headwraps is a fun way to stay warm this winter. Each critter in the themed set has an adorable nose and ears that bring it to life. 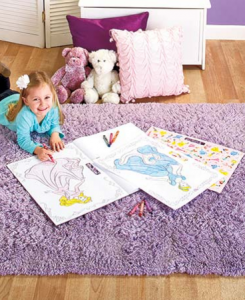 Tight knit stitching is sure to keep them cozy and comfortable for hours of outdoor play. One size fits most. Acrylic. Imported. 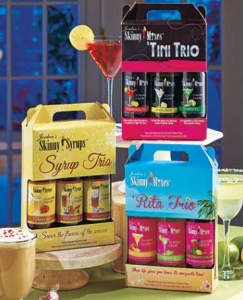 Holiday Spirits With the Skinny Mix Trio Gift Set, you can enjoy your favorite drinks without worrying about your waistline. Each set features 3 delicious flavors with reduced sugar and calories. Add vodka to the Martini set for the perfect martini without the usual calories. Put the Syrup in coffee, hot cocoa, milkshakes and more to enjoy your favorite holiday flavors all year long. 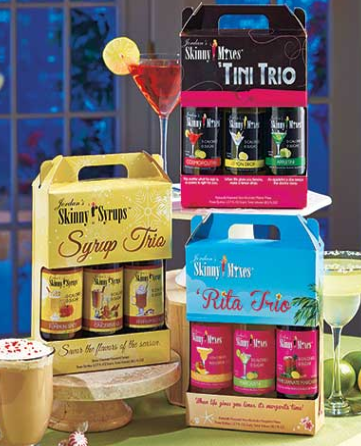 Just add the Margarita mix to tequila for an easy, skinny margarita.12.7 oz., each flavor. Fly with Flair This cool 3-Pc. 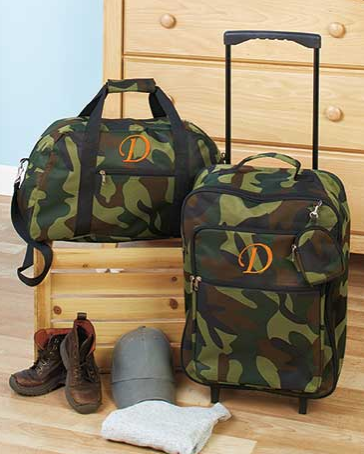 Monogram Luggage Set has an initial embroidered in orange thread on the front of each piece. The eye-catching camo print makes this luggage stand out from the crowd. The extendable handle on the rolling suitcase locks into place for easy wheeling. It has a zippered pocket on the front, a zippered compartment and a double-zippered main compartment with a spacious interior. Attached to the suitcase is a compact, detachable clutch with a full zipper closure. The duffel bag has a front zippered pocket and a double-zippered main compartment. Includes a removable shoulder strap. Whimsical Wardrobe Embroidered Open Front Cardigan is a wonderful layering piece for your wardrobe. Graceful long cardigan has contrasting decorative stitching around the lower hem and the collar. The design begins on the front and wraps around the back. Lengths are 38″, 38-1/2″ and 39″. Cotton. Imported. Portable Projects Have hours of fun coloring and placing stickers in this Licensed Big Book with Stickers. With 20 pages to color and over 100 stickers, this book will help bring your favorite characters to life. Its built-in handle lets you carry it wherever you go. 13-1/2″W x 19-1/2″L. Softcover. For ages 3 and up.